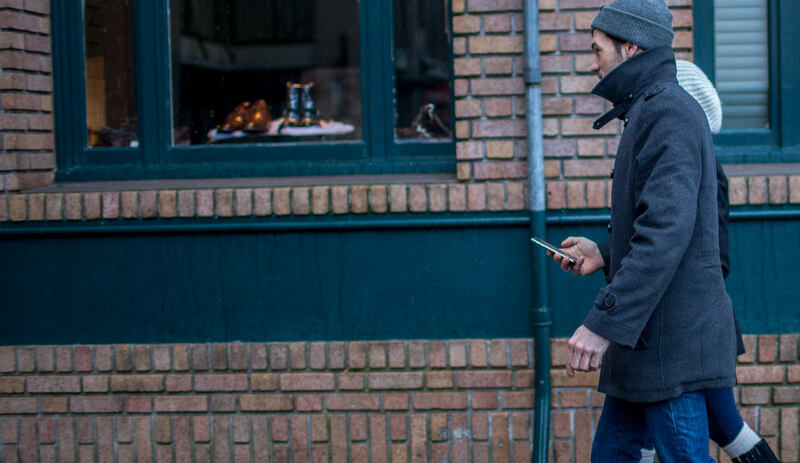 You could have sworn you got a push notification from your favorite place to buy jeans — was it about a sale? Buy one get one free? You must have dismissed it — you can’t find it in your phone’s notification center either…where did it go? This kind of frustrating scenario can be solved — for you as an app owner, and for your customer — with one simple step: implementing an in-app message center. As a central hub for messages within your app — essentially an app in-box — your message center can capture and store messages your users want to keep track of, creating a better customer experience. 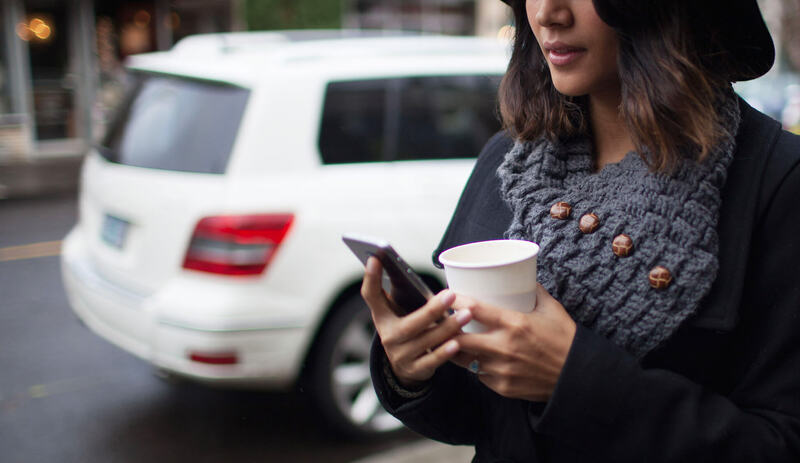 But that’s not the only reason to add a message center to your mobile messaging mix. Give you another way to target messages to specific users or broadcast to all users. In a nutshell, message centers can support a wider variety of experiences and use cases than push notifications or other forms of in-app messaging — and serves as a place for you and your user to keep messages that matter. So how do you get the most out of an in-app message center — and make it a feature your users will love? With hundreds of clients using our message center SDK in our Engage solution, we’ve seen what works. Get dozens of ideas and examples of how leading brands are leveraging in-app message centers to meet a variety of business goals – from better onboarding to boosting revenue – in our new Message Center Inspiration Guide. 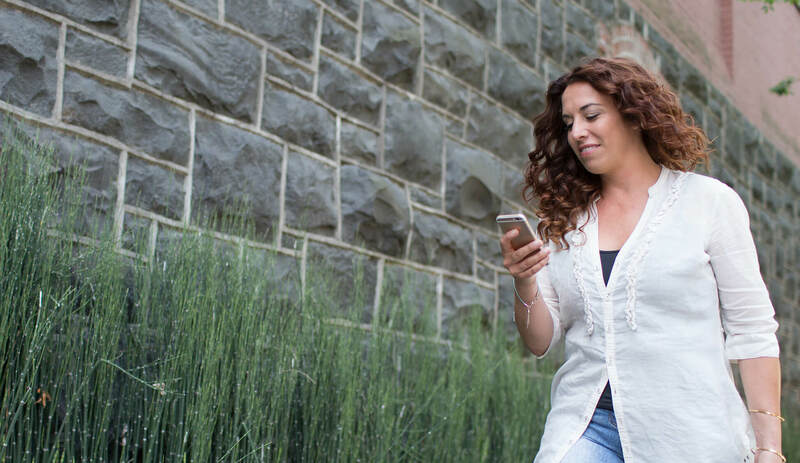 Before you implement a message center, it’s important to think about how you will leverage this channel to complement your overall mobile messaging strategy. One common and very successful approach is to use a message center in conjunction with push notifications or in-app messages to drive engagement. Because push notifications and in-app messages are temporary, users may miss messages sent in those channels. A message center extends the life of your messaging, and makes it easy for users to catch messages that are useful, educational or that have deals or offers they’ll want to redeem. Transactional: “Your order has shipped, your tracking number is 1j5e2.” “Your prescription is ready for pick up,” “Your gate has changed; you’re now at 12A.” Push notifications are a great way to alert users of these kinds of real-time, transactional messages. But if a user misses the initial push message, it’s very convenient for them to be able to look at the message later in an in-app message center. Educational: Again, push notifications or in-app messages are great ways to send educational content. But, if a user misses those messages, you have another chance to reach them: in your in-app message center. For example, a news app could add updates to stories their users are following; a fashion app could share a video of the latest runway shows with a link to a page where users can shop these styles. Promotional: A coupon, invitation to a loyalty program, or a buy one get one free message works as a push or in-app message, but becomes even more valuable to the user if they’re interested in the offer but can’t act on it right away. Think about the kinds of messages you send, and consider how adding some of those messages to your message center might make them even more valuable for your users. 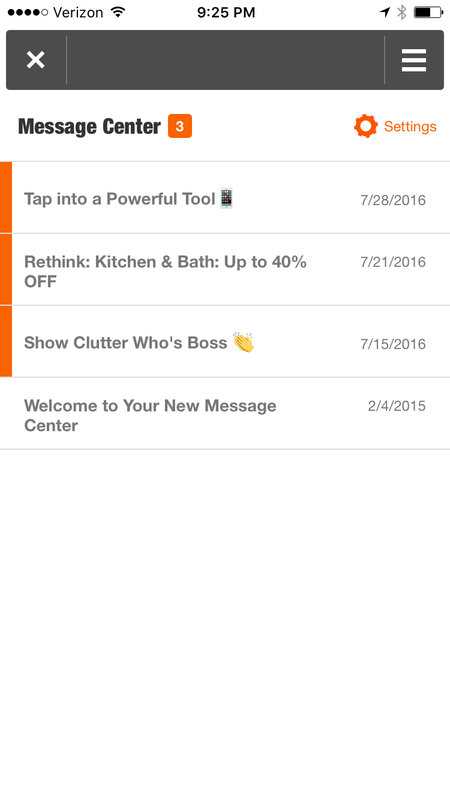 Let your users know what they can expect to find in your message center. Setting expectations helps build a habit of checking the message center, driving higher engagement and an overall better experience for users. PGA Tour does a nice job with this as they send an initial welcome message that explains what users can expect. They let their app users know they’ll be adding information they think is valuable to fans and app users. They also let them know that whenever there is a new message they’ll see the notification badge on the MyTOUR section in the menu. Messages should include a few lines of preview text. Avoid truncating this content. This helps a customer decide whether to read a message, and can reduce your concerns about sending promotional messaging, because uninterested customers will simply skip them. 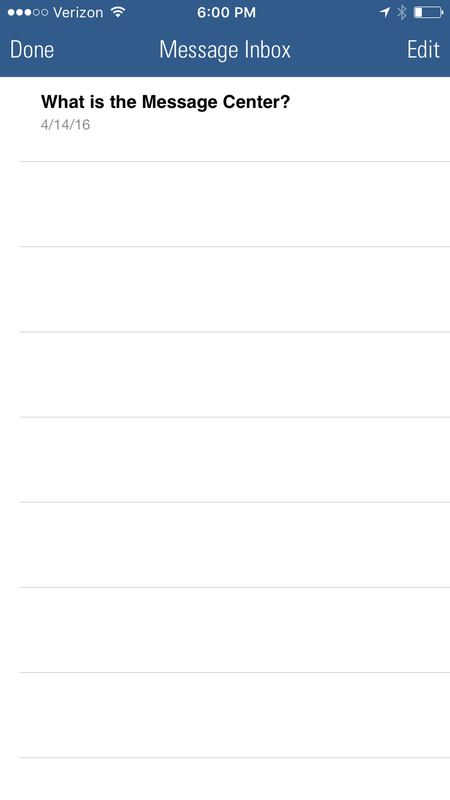 Be sure that your message center is visible to users so they can find it when they open your app. For iOS, use badges to indicate you’ve added new messages. Badges are proven to draw people into your message center updates. If you are using push notifications, consider which notifications could go into your message center for future viewing. This is particularly important for transactional messages such as those related to pickup in-store, or for shipping notices. 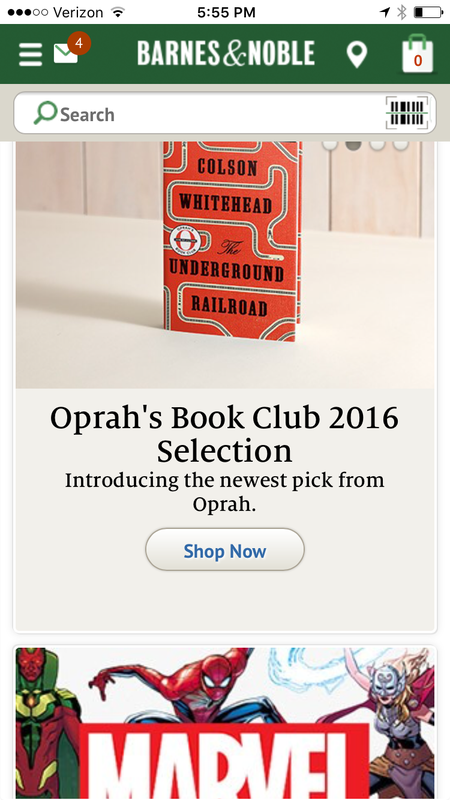 Barnes & Noble makes their message center visible with prominent placement in their app, and includes a badge indicating the number of new messages. Welcome your app users from the very beginning with a welcome message in the message center, reinforcing your app benefits and why they should come back to see what’s new. Businesses looking to maximize their reach can deliver the same welcome message as both a push notification and a message center message. 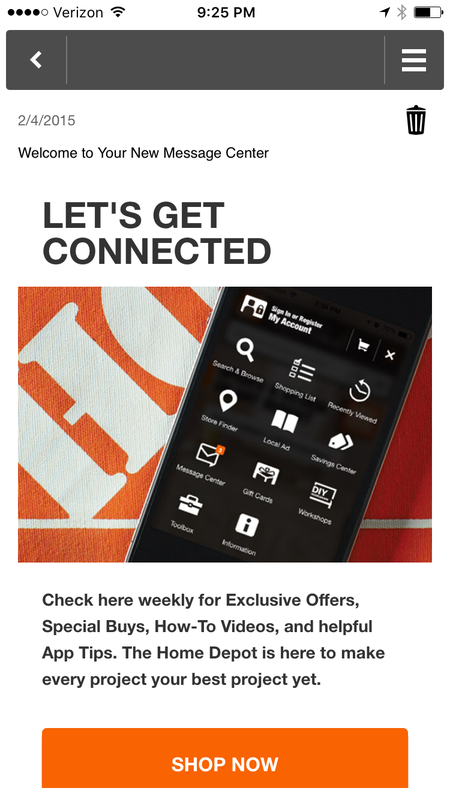 The Home Depot app sends a welcome message clearly stating the value of message center content users will receive. It can also be very effective to have an automated welcome series in your app message center as part of your onboarding process. For example, a luxury department store uses its message center to deliver a welcome series with the goal of driving a second and third app open within the first two days. 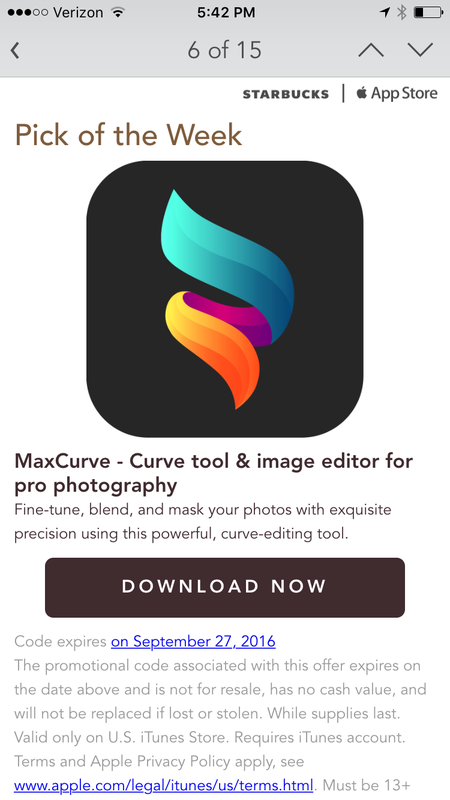 Two hours after download, its users receive a push notification deep linked to its message center welcoming them to the app. all message center messages being read and a 40% push notification engagement rate. Be sure to set messages up for auto-deletion. This is particularly important for promotional messages where an offer has an expiration date. Auto-deletion keeps your message center tidy and up-to-date so your customers can focus on the timely content that matters. Another best practice is to make message center visits a “habit” through a regular message or offer that builds anticipation, and that users look forward to. 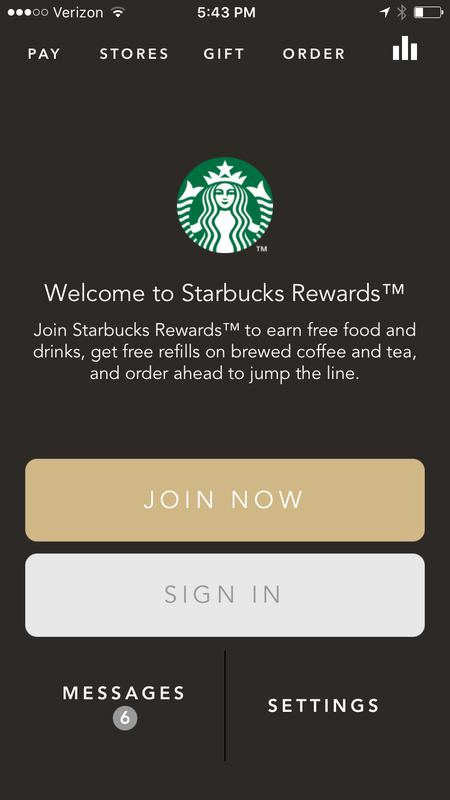 A great example of this is Starbucks’ Pick of the Week — a special offer such as a free app or free music — delivered to their message center every Tuesday. 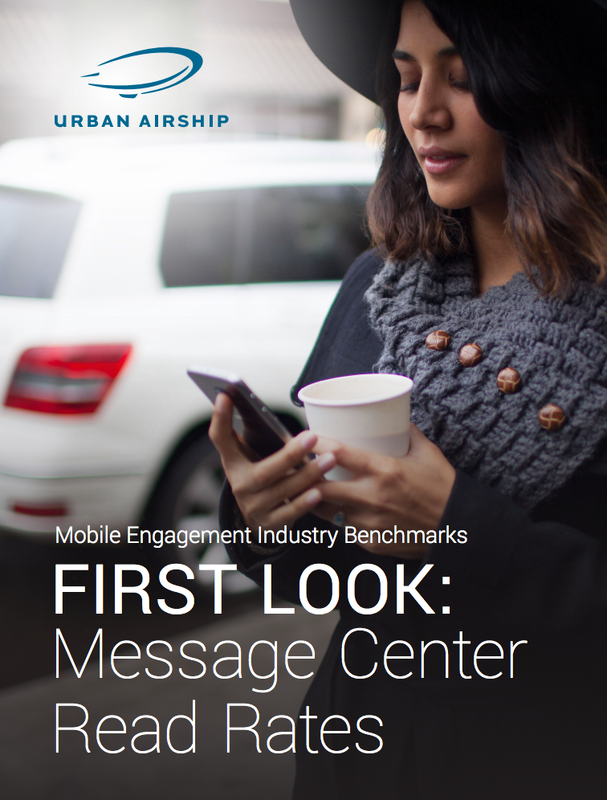 With the OOTB message center SDK in Urban Airship Engage, our mobile engagement solution, you can implement a message center in your app in 4-6 hours. And, as a marketer, once it’s part of your app, you can add messages without the help of your developer. For more ideas from leading brands, check out our Message Center Inspiration Guide or contact us to talk about your options. 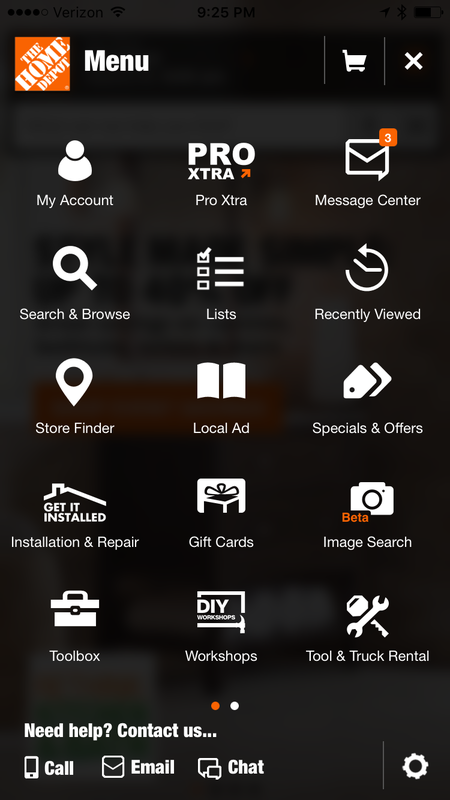 Make an in-app message center part of your mobile messaging strategy today. Ready to learn more? Check out our cheat sheet on message centers here, and download our benchmark report on message center read rates to get more data to build a business case for including a message center in your app.